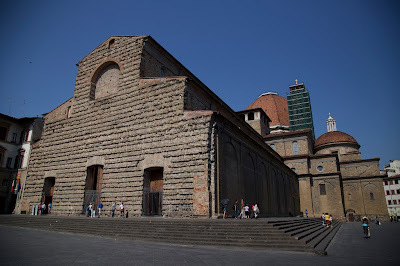 Not far from the Duomo, you find the Basilica di San Lorenzo, which was consecrated in the 4th century and is considered Florence's oldest church. Pope Leo X commissioned Michelangelo to design a marble facade for the church in the 1400s, but no one ever executed his design--so the rough, ugly under-layer has remained unadorned ever since. Highlights inside include two bronze pulpits sculpted by Donatello (unfortunately covered and in the process of restoration work while we were there) and a lot of Medici tombs. 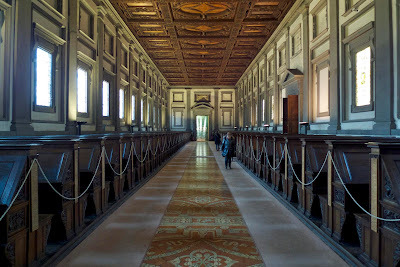 Established by one of the Medici popes in the early 1500s, the library holds some incredibly old books and Bibles. Elsewhere in the San Lorenzo complex, you find the Cappelle Medicee (Medici Chapels). 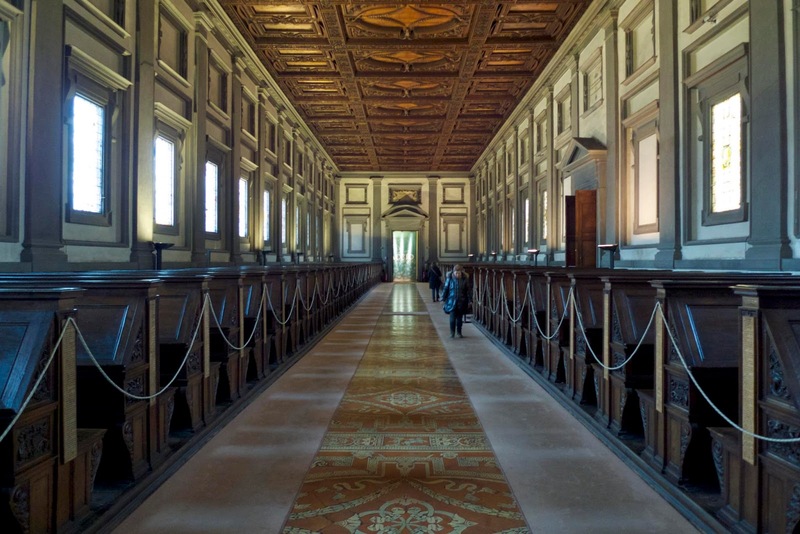 Forty-nine members of Florence's most prominent family, the Medicis, are buried here. The museum and crypt contain family jewels, as well as lots of relics (bones of saints...very strange/unsettling for us as Protestants, I'll admit).